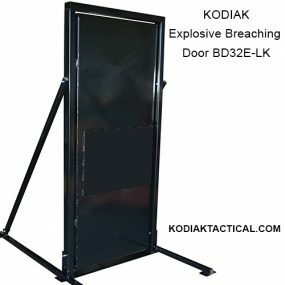 Developed with members of the Special Operations community, the Shotgun Breaching Door from Kodiak is a cost effective and valuable asset when training for ballistic entry. 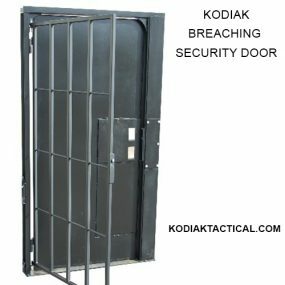 Constructed of high strength steel with stainless steel hardware. Available in 30, 32 or 36” wide standard doors. Each door system is manufactured to your requirements giving you the ability to purchase the size you need for your training. 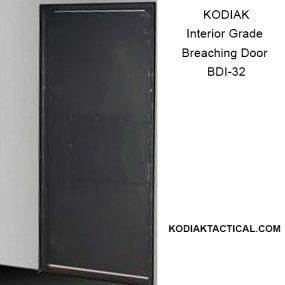 Wood strips are placed on the back side of the door and frame at the hinge and lockset points giving the operator the realism of firing into a wooden or metal entry point. Wood may be purchased from a home center or any scrap wood (old pallets, demolition, etc.) that fits into the 1” wide mounting brackets may be used. 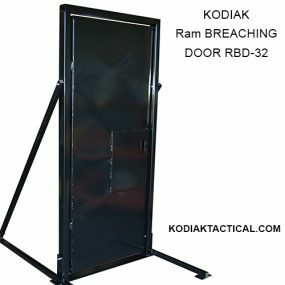 The thicker and the more dense the wood, such as oak, the more difficult the ballistic entry can be simulating 1 or 2 shot entry. 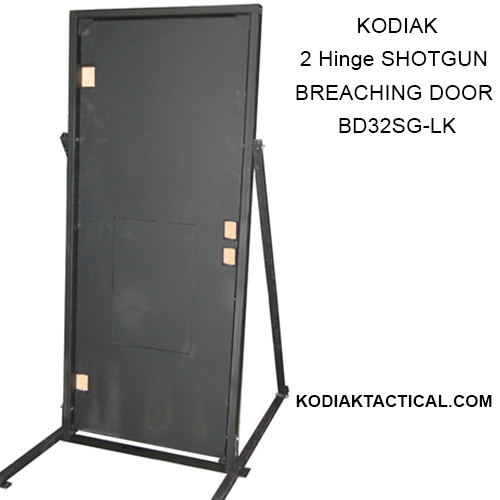 Included with all of the shotgun doors is a welded on kick plate, door re-setting handles and a full warranty. Available in other colors.